Metal "S" Sign Hooks easily fit over our standard drape support rods (crossbars) for hanging a grommeted banner or trade show booth number signage. Made of sturdy metal for maximum durability, these Metal “S” Sign Hooks measure approximately 3.25" tall, so you can hang banners and signs with ease. 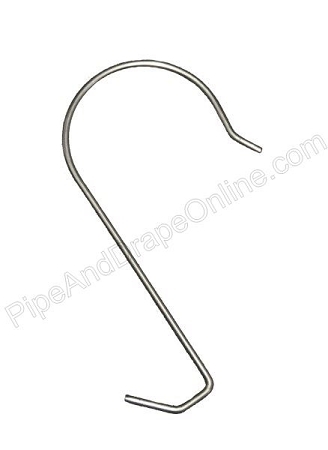 We also offer various sign hanging hooks in quantity packs based on your needs. For more information regarding our sign hanging hooks, don’t hesitate to contact us. Otherwise, please shop our selection below. Thanks for choosing Pipe and Drape Online!